Mountain Athos (Agion Oros in greek) is the most holy place of Orthodoxy. You can see here the desperate attempt of a pilgrim to give you a small idea of it. Unfortunately the spirituality can only be felt and can not be transmitted with the narrow limits of my photographic skill. Very peaceful images full of spirit. Probably one of the most holy galleries out there. I love it..I plan to go in August...prota o Theos. i am architect from serbia. Thank you for inspiration. This captures the essence of Athos! The hidden life of the Spirit. Depth which can not be attained through color photos. 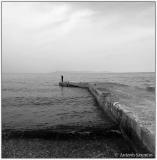 Hi Antonis , absolutely wonderful shots , a masterpiece !!! 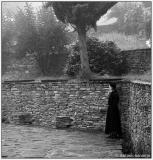 The photos of The Pilgrimage to Mount Athos made my spirit soar. you say that the spirituality can't be expressed with the 'narrow limits of you photographic skill' but i'm afraid we're going to have to agree to disagree there! this is an incredible gallery...such depth and emotion and respect in each picture. This is a wonderful, wonderful gallery. You've captured intense portraits and a tranquil atmosphere. I look forward to seeing the rest. Voted! 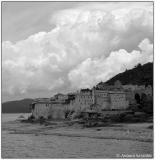 I think you've done an excellent job of capturing the atmosphere on Mount Athos. This is an amazing gallery. Thank you for that fantastic photos. Thanks so much for moving photos . I look forward to traveling to Mount Athos next year. Your trip to Athos, obviously, among other things, had a great result. This excellent gallery. Bravo Antoni. So, another one vote for the whole gallery. Very, very thoughtful gallery here. There's a range of emotions captured that I cant completely grasp...fantastic. What an inspirational gallery. Thank you for sharing the journey through your eyes. You managed to bring us the holy spirit of this place through your eyes and photos. A gallery with great atmosphere and unique sensitivity. Bravo. I love this gallery! So spiritual and I do think you have convey it through photography. A job well done! Bravo..you never seize to amaze me with your talent..
Great gallery - a window onto another world! The use of B&W has vreated a timeless feel to many of the images. Very enjoyable. This gallery is wonderful. It is an inspiration to those of us who will likely on see this place through your pictures. I really love this gallery. The place looks absolutely beautiful.. the wonderful atmosphere of the place... makes you wish you could be there. Thank you for the journey and the wonderful view of this important venue. Great work! I love that they are B&W as well. The monks portraits are just wonderful! wonderful gallery....it certainly does have an element of charm in this place. like the mood of the monochrome work as well. You had a hand on your shoulder guilding you on these most excellent images Antonis. Beautiful gallery and very well done. I am most impressed by the black and white misty photos. I think these do an excellent job of portraying the quiet and holy dignity of the place. Yet, all of the photos are excellent as usual. Well done! Your pictures reflect that spiritual journey... You have succeeded in sharing this peaceful bliss. Thanks so much for sharing, Antonis. Thank you for sharing that beauty. Agion Oros stands for Sacred Mountain in Greek, I suppose.